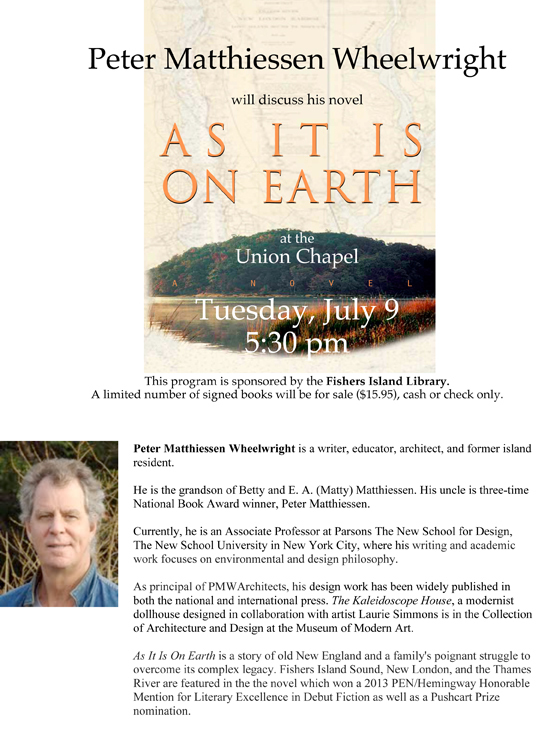 Peter M. Wheelwright (As It Is On Earth) will join Paula Closson Buck (Summer on the Cold War Planet) in a reading from their respective novels and book signing. 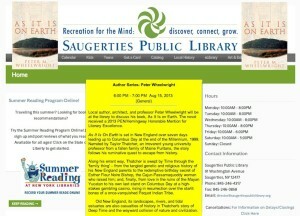 Peter M. Wheelwright will read from his novel As It Is On Earth and sign books. 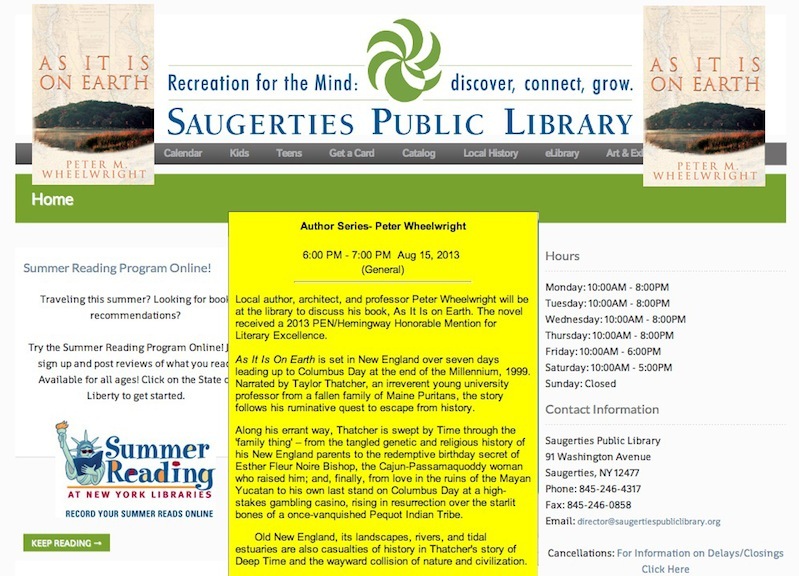 Peter M. Wheelwright (As It Is On Earth) will read and sign books. 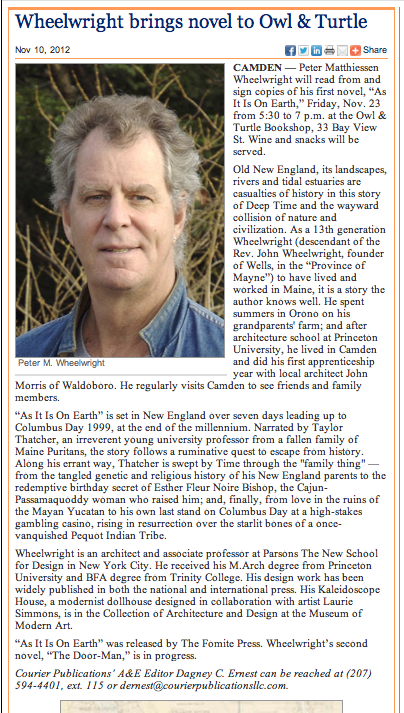 Peter M. Wheelwright will receive an Honorable Mention Award for his novel As It Is On Earth. Open to the Public. Peter M. Wheelwright will read from his novel As It Is On Earth. 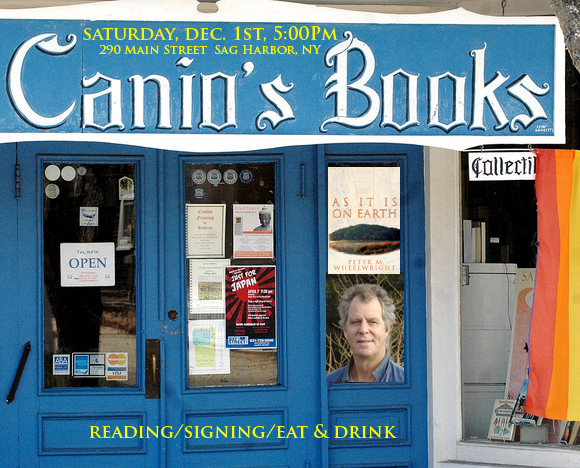 He will be joining Fomite Press authors, Jack Pulaski (Love’s Labours) and Antonello Borra (AlphaBestiario) who will also be reading and signing books. “The Family Thing” with novelists Peter Matthiessen Wheelwright and Leora Skolkin-Smith. Reading, conversation and signing. An ‘Alternative Publishing Panel’ will feature a discussion with Peter Matthiessen Wheelwright, whose debut novel, As It Is On Earth, is being published by the small independent print-on-demand Fomite Press, and Ardal Powell, CEO of Music Word Media Group, an innovative media startup that combines the edginess of a new-media incubator with the gravitas of a scholarly publishing house. 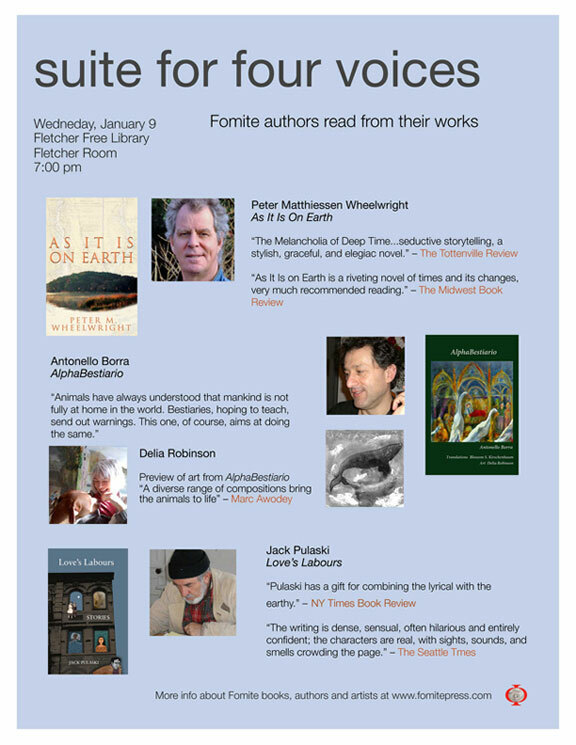 Peter M. Wheelwright will read from his debut novel As It Is On Earth and sign books.